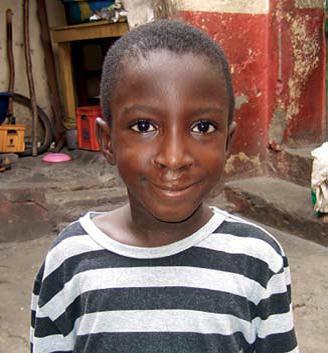 Raised by his maternal grandmother, Paa was referred to our Ghana project due to his bilateral cleft lip and palate. The eight year old has gone through three surgeries: the first to repair his bilateral cleft lip in 2004, the second to repair his cleft palate in 2005, and the third to repair his palatal fistula in 2007. He has benefited from post surgical rehabilitation and attended our partner’s panel clinics on a number of occasions. Thanks to Lillianne Fond, a Dutch NGO, Paa is now attending school. For more information about our work in Ghana, click here.